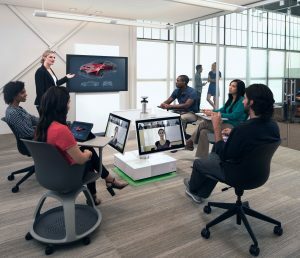 Users no longer have to draw a distinction between an audio conference, video conference and/or web presentation. In addition, customers don’t need to have separate providers/accounts for each. Instead, products like Zoom or Microsoft Teams allow call attendees to join the call from whatever device they have available. Office users can join from a conference room or from their computer. Mobile users can join on their smartphone or tablet. All participants can be on video and share/view content on the call – all using a single service; no more siloed communications. 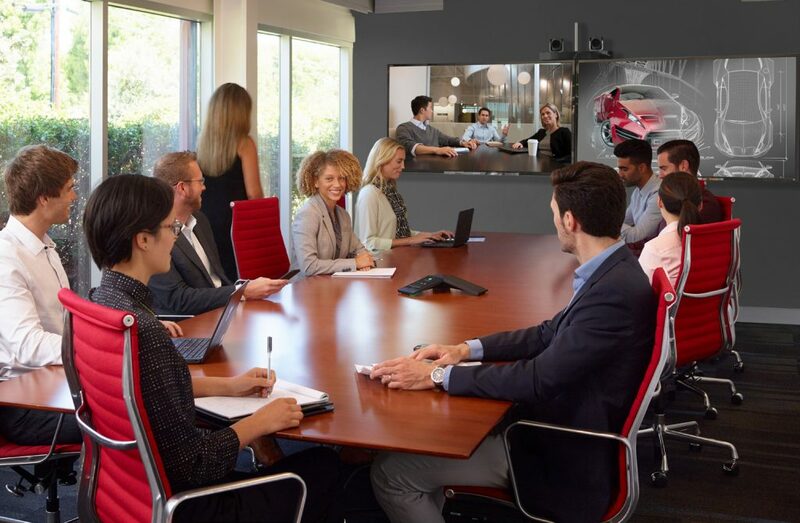 By inviting the room itself to the meeting along with the remote attendees, the meeting is sure to start on time – and with just a touch of a button. Every aspect of the room can be accurately controlled, including, but not limited to: lighting, multimedia integration, email schedules, and meeting and presentation control. BYOD wireless content sharing allows anyone to share content from any device (PC, Mac, iOS, Android, etc.). No more dongles, and no more worrying about finding the “right” cable or adapter. Effective use of digital signage ensures the timely delivery of information to all people, be they clients, employees, or vendors. This eliminates the need for the labor and expense of printing posters and static signage. Conference room scheduling panels installed at the room entrance allow rooms to be scheduled in advance, and/or booked ad hoc. The schedule for each room is easily displayed with the touch of a button. Room analytics are also available to measure usage and occupancy to provide actionable data on resource utilization. A/V systems that enable calls, as well as share/view content, have become very affordable and easy to implement and use. This makes them very effective solutions for both small & medium spaces, too, which is where most of the real day-to-day work and collaboration happen.